Featuring a reproduction of one of the most popular designs in American Coinage history, the US Mint released the 2001-D American Buffalo Commemorative Uncirculated Silver Dollar. The design was the original work of James Earle Fraser and was featured on the 1913-1938 nickel known as either the "Buffalo Nickel" or the "Indian Head Nickel." The Silver Dollar reproduction proved so popular with collectors that it sold out within a few weeks. Proceeds from a surcharge collected on the sale of each silver dollar was given to the National Museum of the American Indian of the Smithsonian Institution to aid in its construction and operation. Surcharges are added to the sale of each commemorative coins. Funds raised by the surcharges are forwarded to organizations which have been selected by the authorizing legislation of each coin. 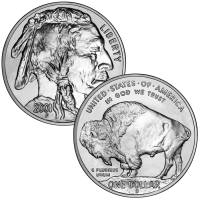 Struck from 90% silver, each American Buffalo Silver Dollar has a diameter of 1.5 inches. The US Mint released the Uncirculated American Buffalo Coin on June 7, 2001. 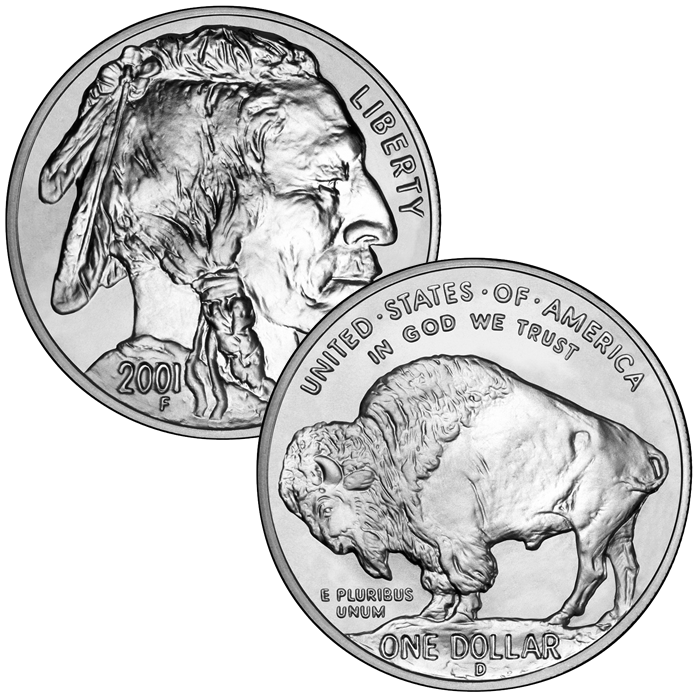 The initial price charged for the American Buffalo Uncirculated Coin was $30.00. Each American Buffalo Proof Silver Dollar was struck at the US Mint’s facility in Denver and show the ‘D’ mintmark.